We use an electric toothbrush to keep teeth clean and hygienic. But have you ever thought this electric toothbrush will be the reason for your illness? If you take a bit precaution of your toothbrush you can easily prevent yourself from various dental diseases. “Electric toothbrush sanitizer” is the preventive precaution here. It is quite common that our toothbrushes contaminated by bacteria and microbes. When we use those toothbrushes we get sick. 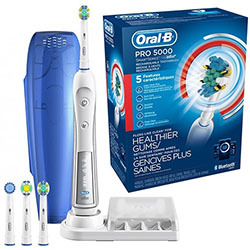 An electric toothbrush sanitizer will prevent your brush from the attack of those bacteria and microbes. So why not keeping your electric toothbrush hygienic? A lot of manufacturers claim that their toothbrush sanitizers kill 100% of those microscopic lives. Yeah, they do kill, but not 100%. From my depth analysis what I found is, only the UV sanitizers kill bacteria and microorganism perfectly. Before you choose your sanitizer you’ve to keep in mind that, the toothbrush from one brand will not adjust with other brand’s sanitizer. 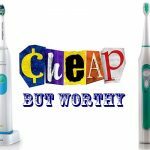 I took out some time to test some of the most acclaimed electric toothbrush sanitizers in the market. If you need to understand the need for sanitizing toothbrushes and want the benefit of one at the same time, Philips has brought something unique for you. 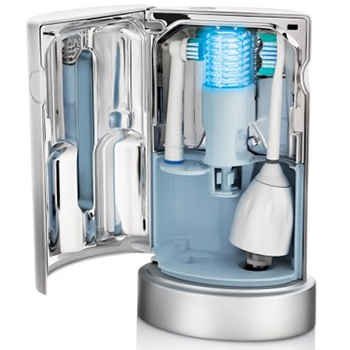 The UV Sanitizer from Philips Sonicare is specially engineered to kill bacteria on the heads of brushes. With the UV Sanitizer, all you need to do is push a button and protection against bacteria is just around the corner. The UV cycle is closed once you turn the sanitizer off after 10 minutes. 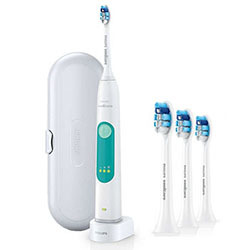 The UV Sanitizer from Sonicare works with most Sonicare models and you may also use it for Oral-B.It is also known to perform well on the Oral-B floss action brush heads. It also gives you a solution for storing the heads of the brush. 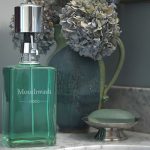 No toothbrush is included with this model.This is a simple sanitizer that gives you clean brush heads before you brush. It shuts off automatically 10 minutes into use. UV clean technology for better cleaning. Cleans all around the mouth. Doubles up as toothbrush storage. Does not work for all brush heads. The SteriClean Portable is clinically proven and has been listed as a medical device with the FDA. It has proven to kill bacteria that are known to cause blood infections, respiratory infections, strokes and heart diseases. It also protects you against ulcers and other gum diseases. The basic function of the SteriClean Portable is based on advanced UV technology that has been proven to fight and destroy aggressive bacteria. 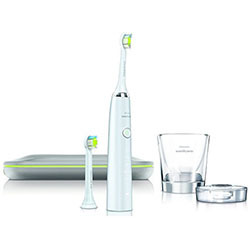 The design is pretty spacious and fits almost every electric and manual toothbrush. 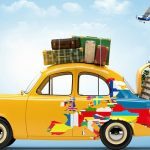 You will also find the SteriClean Portable a very travel-friendly toothbrush which is easy and convenient to use. You may simply drop it into your purse or luggage bag and you won’t even know it is there. It uses two AAA batteries that come included with the pack. There is auto turn-off feature that turns the device off once sanitization is complete. All you need to do is control just one end of the operation – the start. Germicidal sanitizing with UV light. Leaves a new, fresh feel on the toothbrush. Bulb takes long to light up. The SonicareFlexcareis a facelift from an already popular sanitizer by Philips. The newer version gives you a better light view so that you can track the progress of the operation. You can charge all products that belong to the Flexcare, HealthyWhite and Sonicare families. You can also sanitize kids’ Sonicare toothbrush heads. Do not be surprised if you receive the product without packaging. In most cases, it is just shipped as you see it online. You may also have to order a replacement charger in the first six months of use itself. But that is worth the trouble considering the level of work that the sanitizer has to do on a daily basis. The brush charges as you would expect. But the real joy is in how fresh the brush feels after it is sanitized. You cannot really check for the germs. But the freshness is what tells you the tale. Fits a wide range of brush heads. Translucent view for better viewing. Leaves a fresh feeling on the brush. Works well with kid brushes too. Charger may need to be replaced soon. 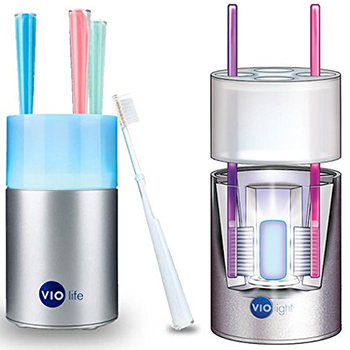 The VIO100 can hold upto 4 toothbrushes for you. You may even place electric and children’s toothbrushes in it. 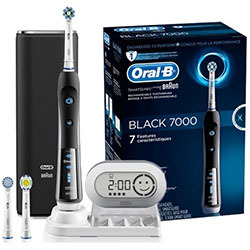 All you need to do is place the toothbrushes and activate the device with a simple touch button. It shuts off automatically after ten minutes and by this time, you have fresh and clean brush heads. There removable drip cups inside and you place the brushes in separate chambers so that there is no case of cross-contamination among the brushes. The personal styling of the VIO100 is something to be savored. It cleans all the brushes in ten flat minutes and tops that with personalized care as well. You receive a year full of warranty from the manufacturer against defects in the body of the sanitizer. It has the potential to eliminate up to 99.9% germs from your toothbrush. It is particularly effective against the swine bacteria that settle on toothbrushes. The safety cap is translucent and you can keep an eye on the function. Can hold and clean 4 toothbrushes at a time. Shuts off automatically after ten minutes. Separate compartments to prevent cross contamination. Removes 99.9% bacteria from brush. Could be prone to fungus affection. Not best suited for electric toothbrushes. The S20 UV Pursonic is a sanitizer and family toothbrush that uses ounce one technology and germicidal UV light to eliminate 99.9% germs and other bacteria from your toothbrush. 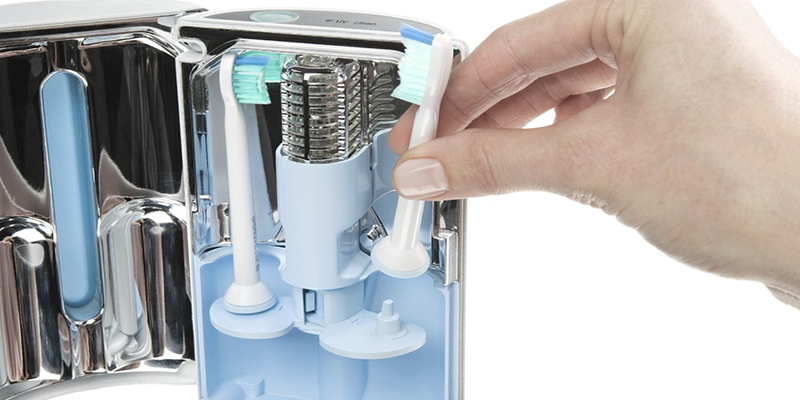 The sanitizer has been designed for the family and can store up to 5 toothbrushes at a go. It can also clean heads of electric toothbrushes. The performance for electric heads varies depending on the models you are using. There is an auto-timer that begins as soon as you close the door. The auto-shut closes operation in ten minutes from the closing of the door. The sanitizing timer varies between 5 and 8 minutes. 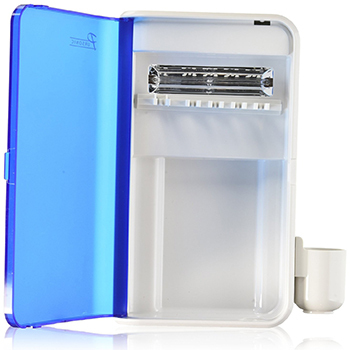 You also get an included toothpaste holder with the S20 UV and the entire unit can be mounted on the wall. The silicone and tape are also provided with the device. If you are someone who has water bugs visiting your home seasonally, this could a great product for you too. Ounce technology with UV light. Family design, stores five toothbrushes. Sanitizer timer works for 5-8 minutes. Auto starts with door closure. Auto shut after ten minutes. Not great with electric toothbrush heads. Toothbrush sanitizer! Do they really work? This is a fair question by all means. You really do not need to look far for the answer. The mouth contains several bacteria and germs that are deposited on the toothbrush directly. Mere cleaning does not really make a difference to the germs on the toothbrush. These sediments are handled well with UV toothbrush sanitizers. The rays kill almost all the germs lying on or below the bristles. This works just like water when treated with UV rays. Uv sanitizer or ultraviolet light based toothbrush sanitizer! Which one is best? If you do not already know, these are one and the same thing. UV stands for ultraviolet and it is just that different manufacturers go with either of the two. But since you are already here, let us share another point with you. Most UV toothbrush sanitizers are meant for advanced handling and they can potentially be sanitizing solutions for all toothbrushes in the family. And a sanitizer for electric toothbrushes also takes manual toothbrushes to a task. What characteristic you’ll look when buying an electric toothbrush sanitizer? How effectively does it kill germs and bacteria? Sanitizers are not for cleaning the brush externally. That is already covered under the cleaning mechanism of the brush itself. 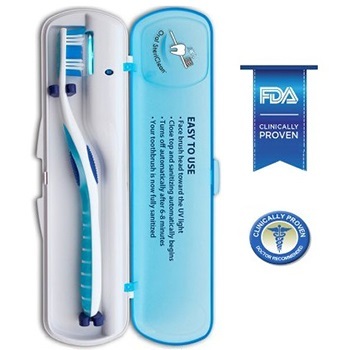 Look out for how effective the sanitizer is when killing bacteria and germs on the toothbrush. This is very much the sole purpose of the device and cannot be compromised with. Is it suitable for brush heads from a variety of brands? Not all electric toothbrush sanitizers support a variety of brush heads. And for most models that do, you get different kinds of options with different sanitizers. It is paramount that you check the compatibility of the models before you place an order. Here it helps if the family uses toothbrushes from the same series. This is a secondary consideration when buying sanitizers for electric toothbrushes. This is because most sanitizers start with the touch of a button and stop automatically after about 10 minutes. However, this also hints at these being two basic features that you cannot miss out on. Overall, there isn’t much to control the operation. 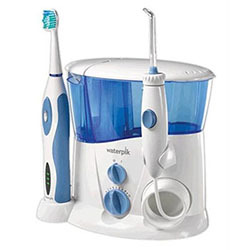 The cost effectiveness of toothbrush sanitizers is determined with the help of a few factors. 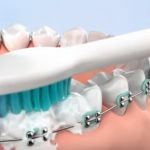 The effectiveness in sanitizing, the longevity and the number of brushes that can be dealt with at a time are the three basic attributes that you need to consider. Make sure you check out all these functions first. 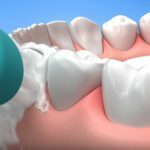 What makes the Philips Sonicare UV Sanitizer a better choice than the rest? 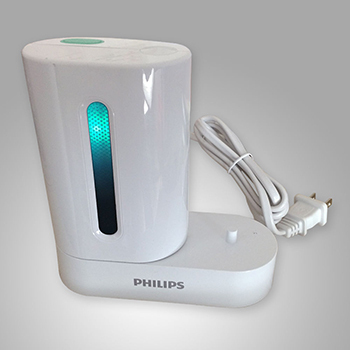 The UV Sanitizer from Philips Sonicare is the best of the lot we viewed. It combines great aesthetics with the best UV technology that you find in a sanitizer. It cleans the brush all around and from all angles. Just a simple touch gets the device started. And it shuts off automatically. Besides, it can also be used as a great storage for toothbrushes. Finding a good toothbrush sanitizer is not difficult anymore. Just keep the things we told you handy and you will be on your way.